A blog and The Life In Between : Blushing For Spring. Blush tones just in time for Spring. 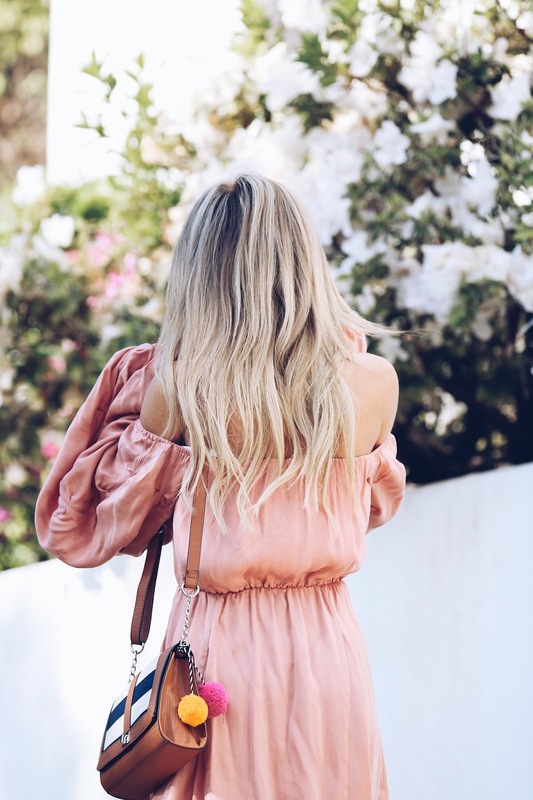 If you told me years ago that I will be wearing blush / pink tones I would have laughed, but as the trends change and new fun patters are created it can easily change your mind. There is so many great shades of pink nowadays - anything from bright pink, blush, neutral pink to salmon shade. Even if you're not as much of a fan of pink as I am, you can always find a shade of pink that looks great with your skin tone. I've recently added quite a few pink'ish pieces to my wardrobe that you will be seeing a lot on my Instagram. I strongly believe that these color tones will be trending over this summer as it's just such a fun color to style.